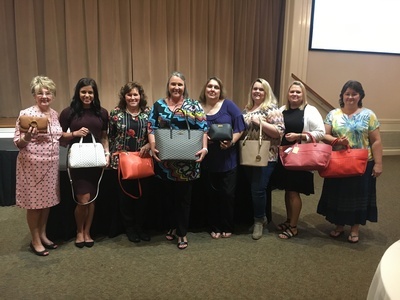 The 31st Annual Administrative Professionals Luncheon will be Wednesday, April 24, 2019 from 11:30 am until 1:00 pm. 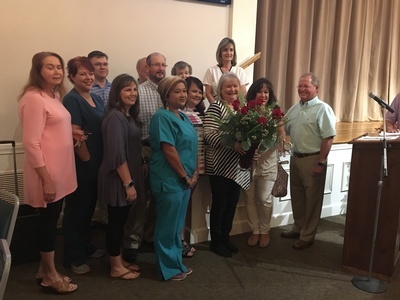 The Family Life Center of the First United Methodist Church will be filled with Administrative Professionals from local businesses big and small, as well as government offices. Administrative Professionals Week has become one of the largest workplace observances. 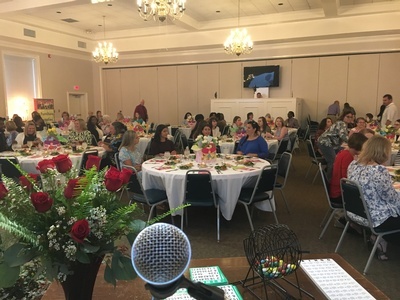 People across the world celebrated Administrative Professionals Day this day, but we, the Thomson-McDuffie Chamber of Commerce treat our invaluable workers with a Luncheon and entertainment. 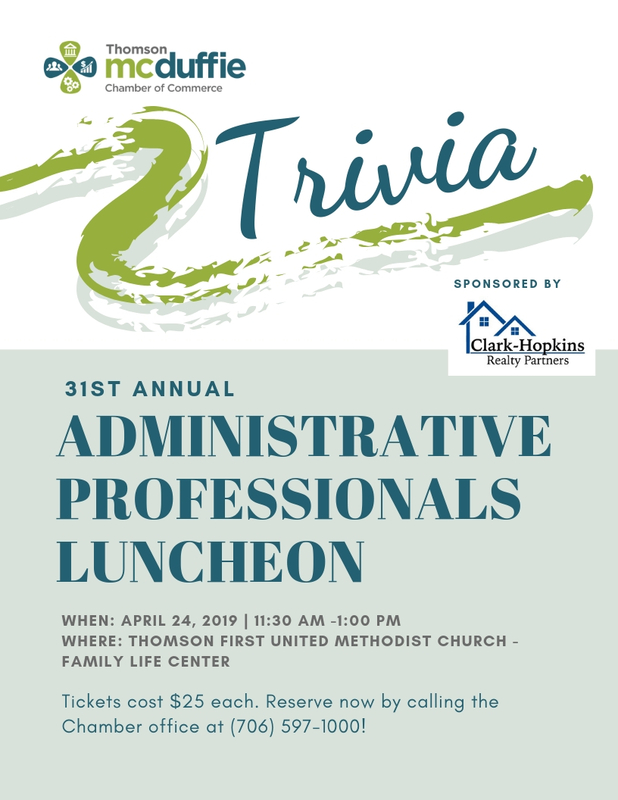 Clarke-Hopkins Realty Partners will be hosting trivia during this event. Be prepared to laugh a lot and win great prizes! This special event is to acknowledge the appreciation of the person occupying the role of your Invaluable Assistant. The Luncheon will be at the Thomson First United Methodist Church Family Life Center. This event promises to be a fun-filled event with a business expo, prizes, entertainment and most importantly-the announcement of the ADMINISTRATIVE PROFESSIONAL OF THE YEAR. Click here to submit your nomination for the 2019 Administrative Professional of the Year! Cost for event is $25 per person.